Recently I opened my backpack and I was amazed how much stuff is in it. I began to wonder if I really needed all this equipment and peripheral items that I carry on my shoots. The fact is as a landscape photographer I rarely use my 70-200 lens. Take that out of my pack and it gets noticeably lighter. Truth be told though I never do because I’m under the firm belief or fear that as soon as I do I will miss the epic shot of an eagle perched majestically on a branch 20 feet from me or perhaps a bear in a stream catching some sort of fish and posing beautifully with a bright backlit sun. It’s the same stupid rational that keeps me playing the lottery with everyone at work. The one week I don’t put in a dollar is the week everyone wins 100 million. Sadly neither has happened. My short lenses 11-22 and 17-40 are my staples so I start to question everything else I have. The answer as I have discovered is that my pack will remain full until further notice. With that in mind here are some small items that I realized I can’t live without. 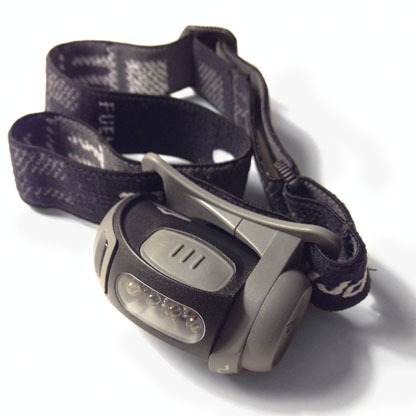 Headlamps- I always bring a headlamp with me. I have found this piece to be indispensable if I stay out shooting later than planned. I’m not afraid of too many things but walking in the woods at night and not knowing where I’m going gives me the willies. I’ve taken to upgrading to one with brighter lumens that recently came in handy on my shoot in Shenandoah National Park. What’s cool is that in certain modes they will flash repeatedly and change colors so you can be spotted if there is a problem. That’s a little more piece of mind right there. Hoodman loupe- I will admit that I think I look a little silly with this around my neck but I really use it for many of my shoots. I started my career shooting on an 8×10 camera so using a loupe was common place for me. Out in the field with a DSLR I think people do wonder what I’m doing. You hold the Loupe directly on top of the LCD to prevent extraneous light from hitting the screen. 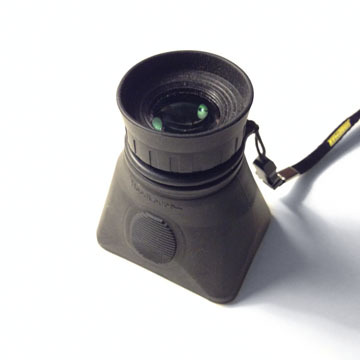 The Hoodman version has a diopter built in to adjust to your vision or lack there of. For my workflow I use the live mode on my camera to focus, create composition and make exposure adjustments and having a loupe become invaluable. If it’s invaluable to me why should I care if I look silly? Graduated filters-of all the items I carry these always draw the biggest response when I do speaking engagements or hangout with other photographers. With more photographers using photoshop they’re leaving the exposure dilemma to post processing. People are really taking sides on this issue without any middle ground. Call me crazy, call me old fashioned but I still prefer to get the image as close as I can when I shoot. 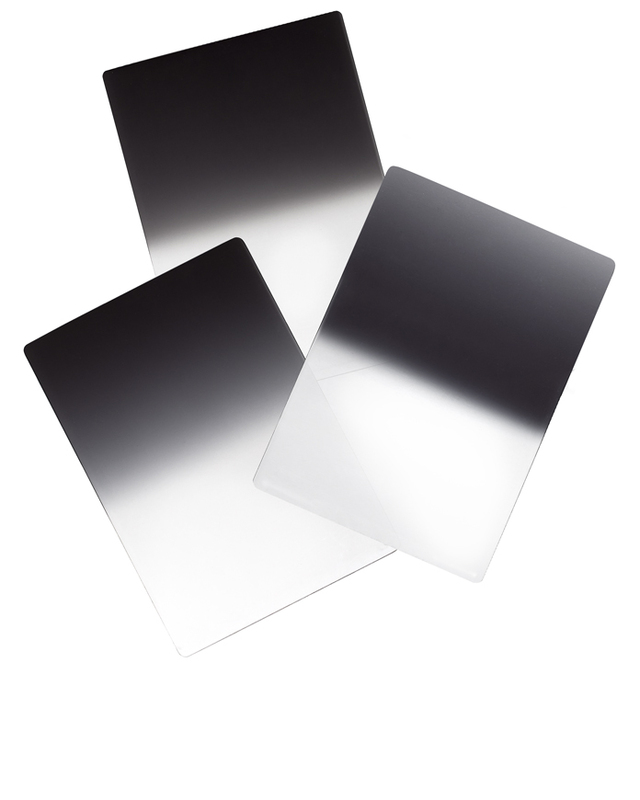 Graduated filters are clear glass or resin with a portion that is darkened. The density of the grayed area directly correlates to the amount of stops that it will affect the exposure. For example if you’re shooting a bright sun rise and your foreground is dark by about 2 stops than a 2 stop neutral density filter will balance the exposure by holding the dark portion over the sunrise. For me at least, I guess I’d rather manipulate light upfront rather than pixels on the back end. Those decisions are what make photography fun and challenging. Side note, just for the record, I have yet to become a fan of HDR as a solution to creating a pleasing exposure. So there you have it. I will be the guy that you see when you turn the corner on the trail with a loupe around his neck, a headlamp on his forehead while holding neutral density filters in front of the lens. Maybe a little silly but I wouldn’t have it any other way. This entry was posted in Equipment by Larry Zink. Bookmark the permalink.